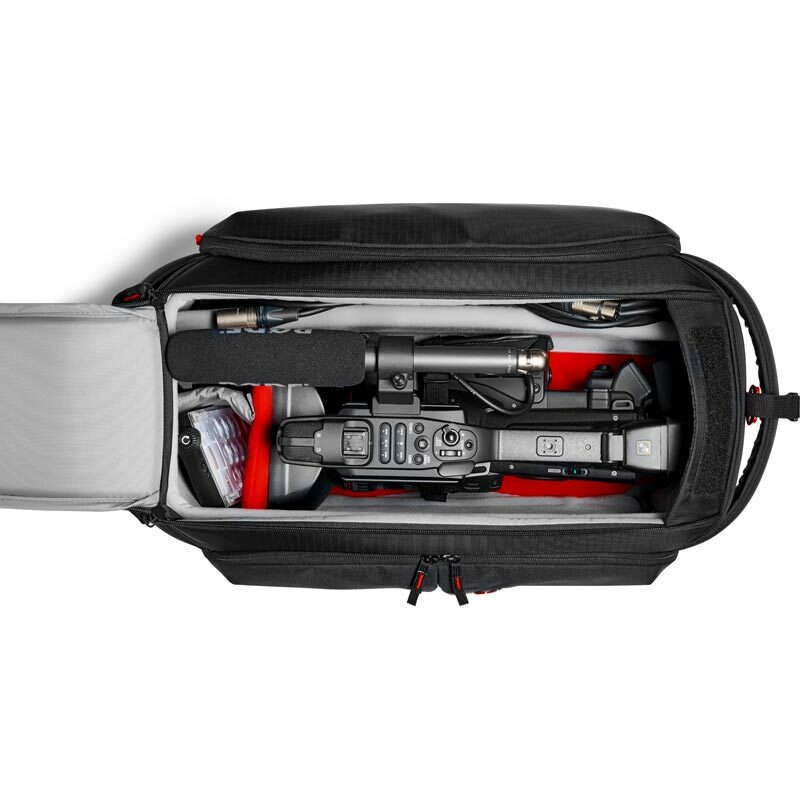 The compact camcorder case for on-the-go videographers. 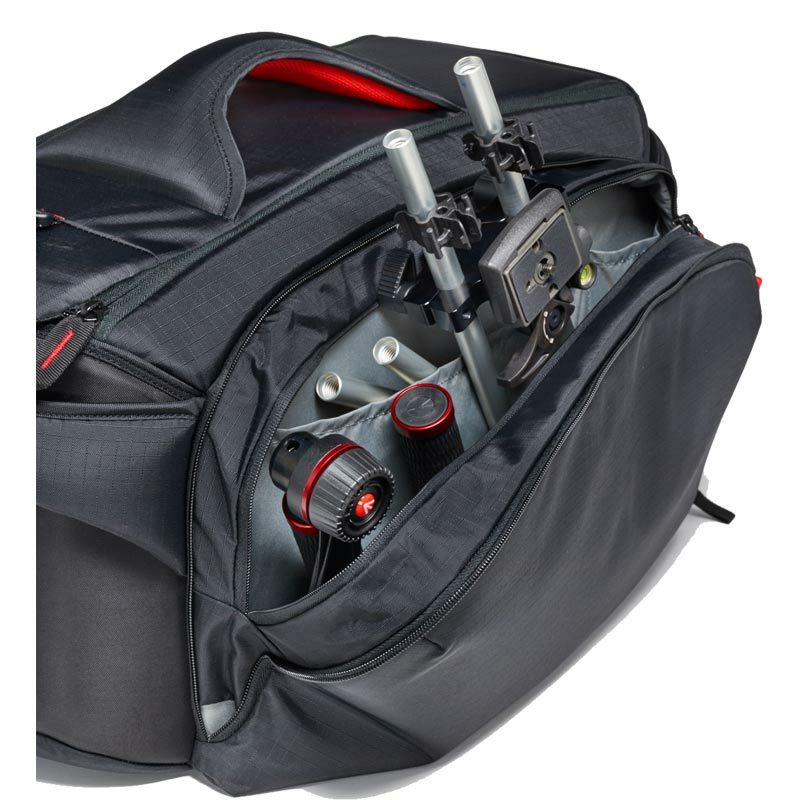 The Pro Light Camcorder Case 193N for PMW-X200, HDV camera, VDSLR is the perfect carry solution for busy professionals. 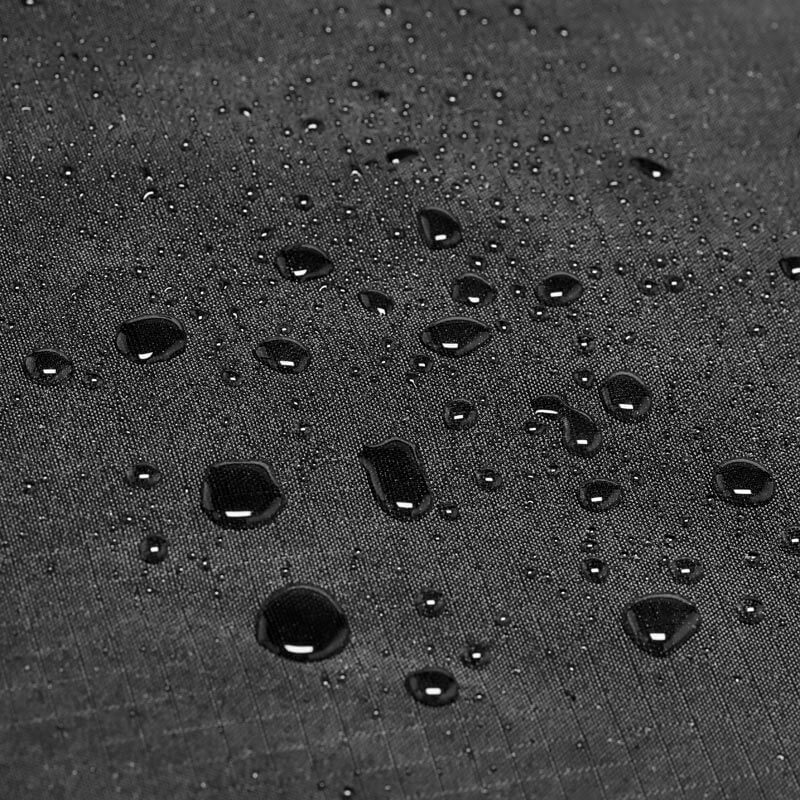 The outer shell is made from high-quality, non-rip nylon fabric, which repels water, and absorbs shock. 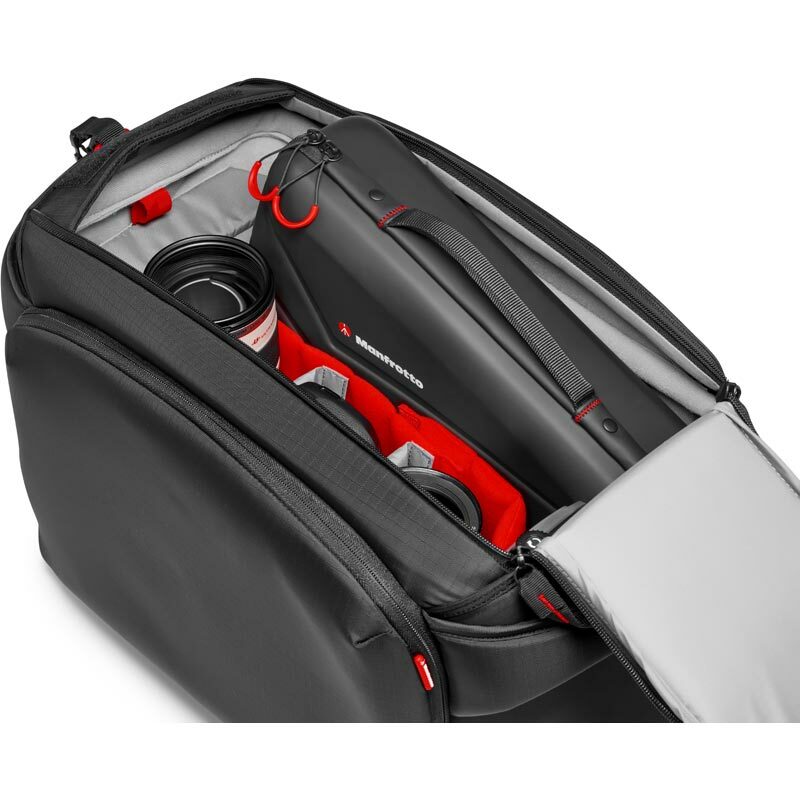 This makes it a reliable, hardwearing and practical case for any pressurised situation. 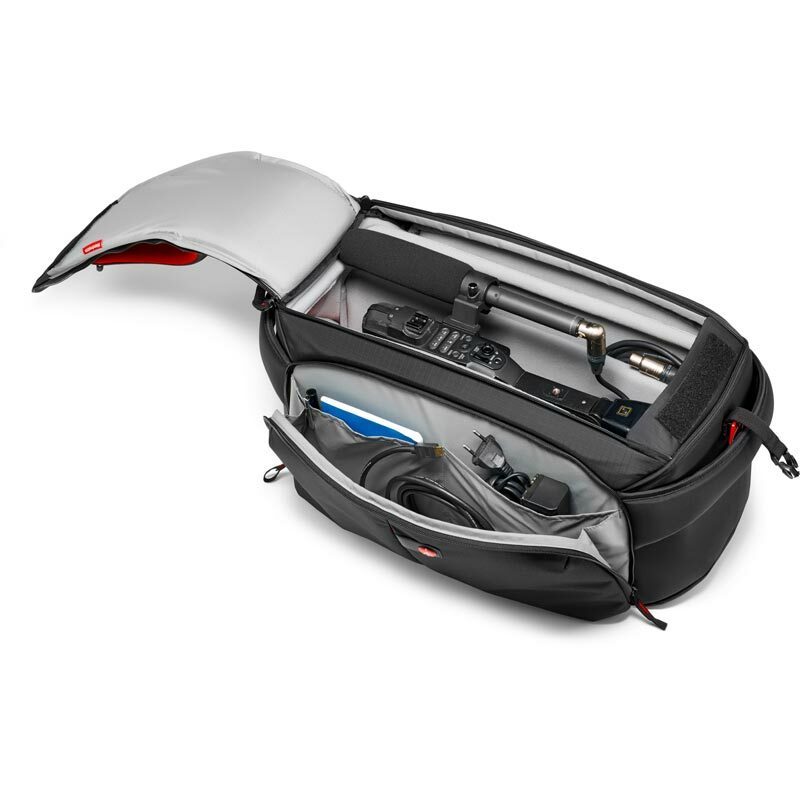 A dual-zippered opening reveals clever Manfrotto Flexi dividers and a metal framed opening, which not only add to the shock and vibration reduction design, they also bend to fit your equipment. 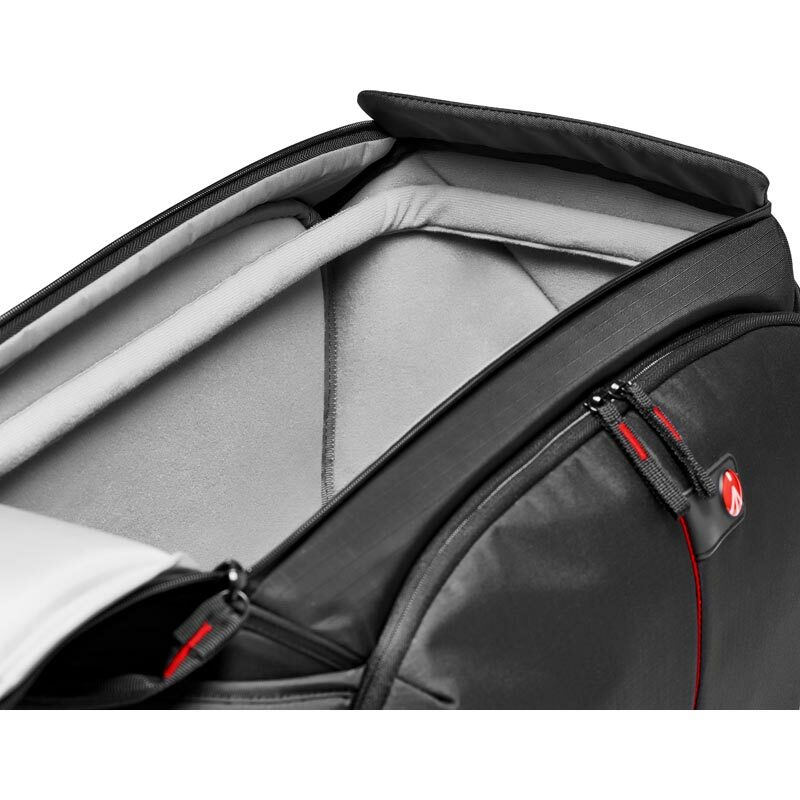 As part of the innovative Camera Protection System with foam padding, this keeps everything secure and snug. 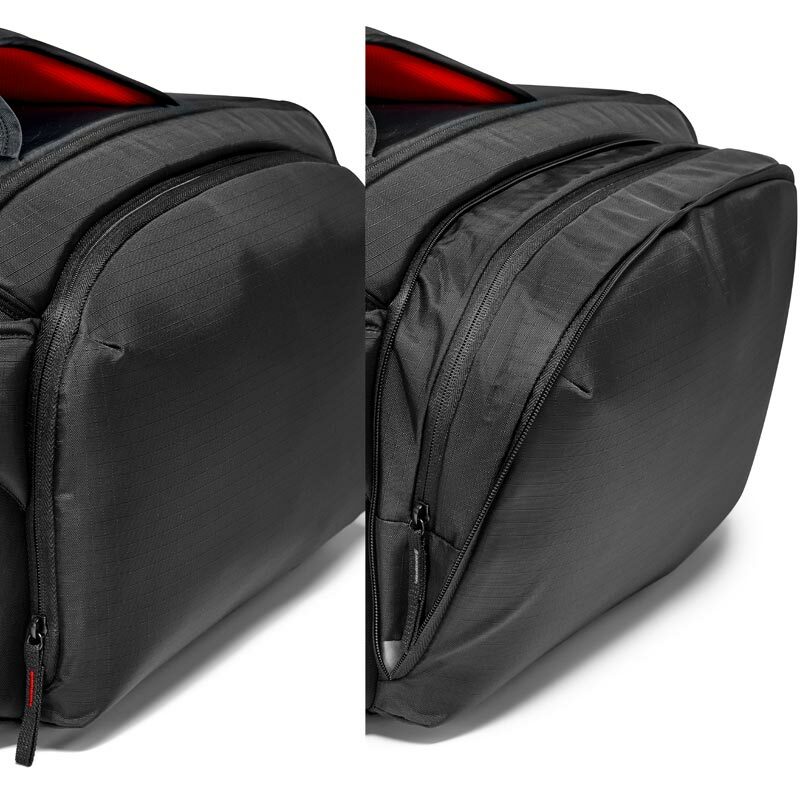 The lens area is fully supported by a clever lens pillow. 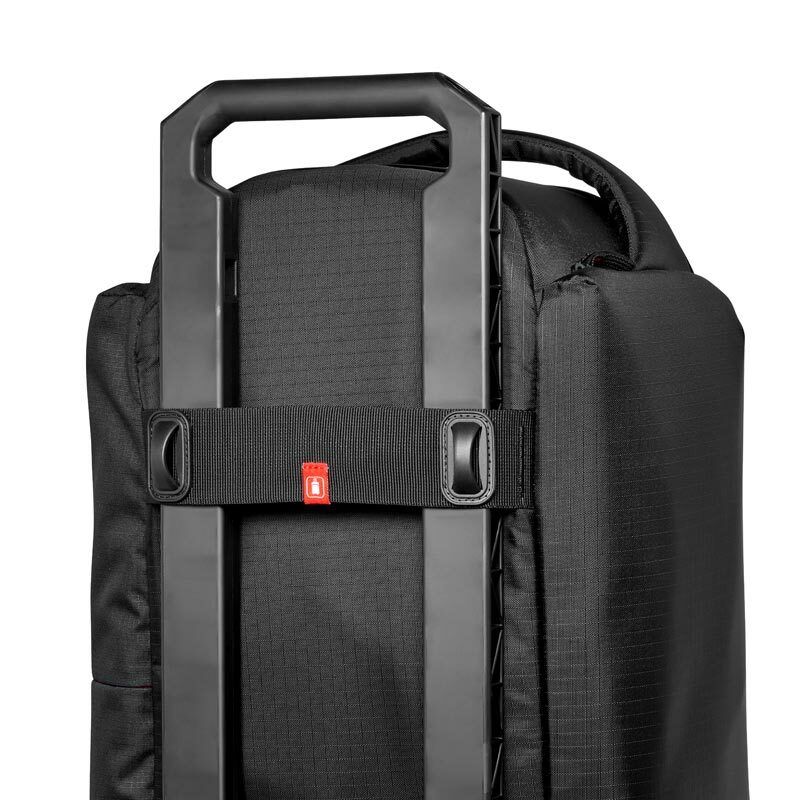 There’s even an extendable pocket, and another full-length pocket at the front for your other essentials. 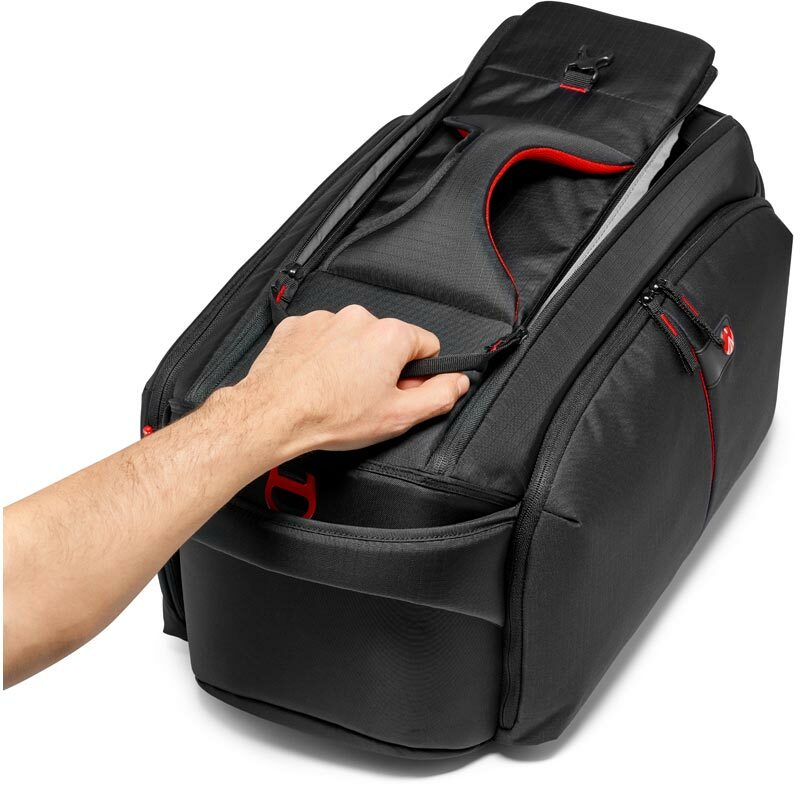 Carrying this case is a breeze, thanks to 3 handles and a padded, detachable shoulder strap. 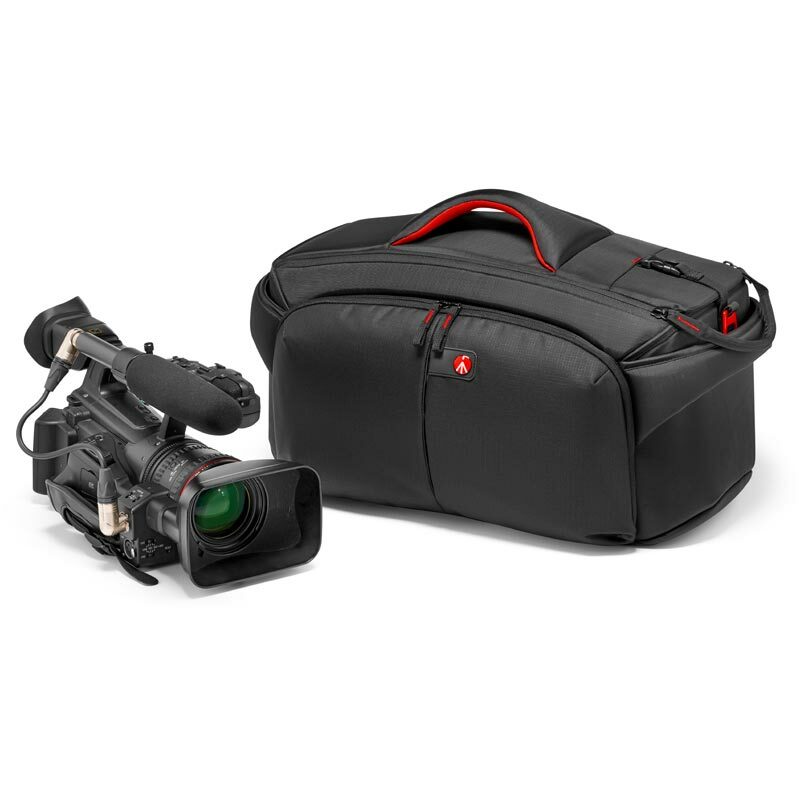 Plus, it’s versatile enough to suit a range of cameras and equipment, including the latest modular camcorders like the SONY PXW-FS7 with handle detached, NEX-FS100R) or HDV camera (e.g. SONY PMW-X200, Panasonic AG-AC160) or Video DSLR (e.g. 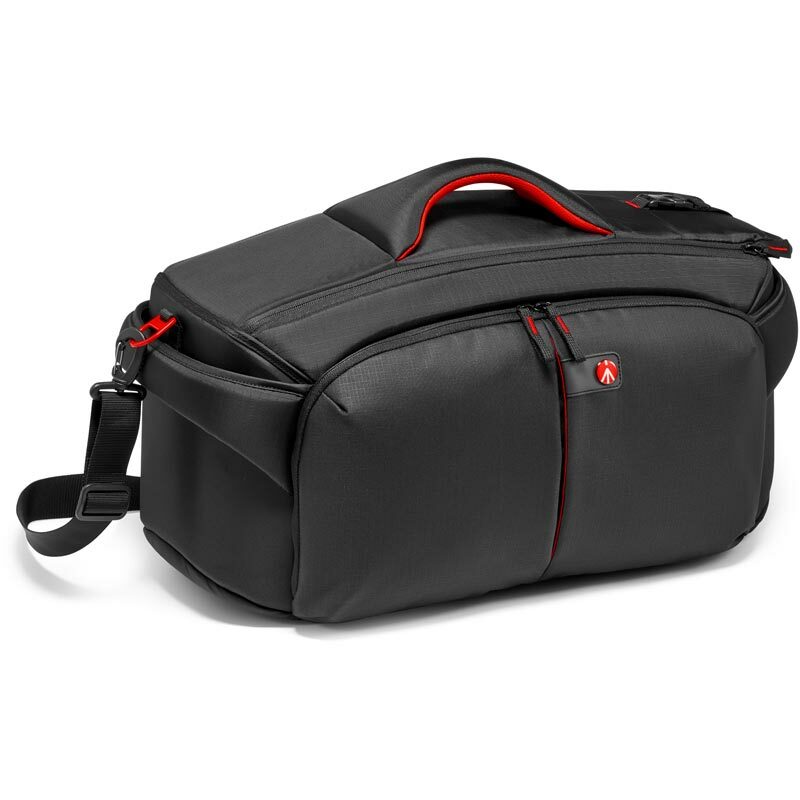 Canon EOS 1DC, 5D mark III).